Marian Inc. will exhibit at the Strategies in Light Trade Show in Santa Clara, CA March 1st through March 3rd 2016 in booth #823. Marian is a global provider of custom, die-cut, flexible component parts for the medical, electronics, automotive, and LED industries. 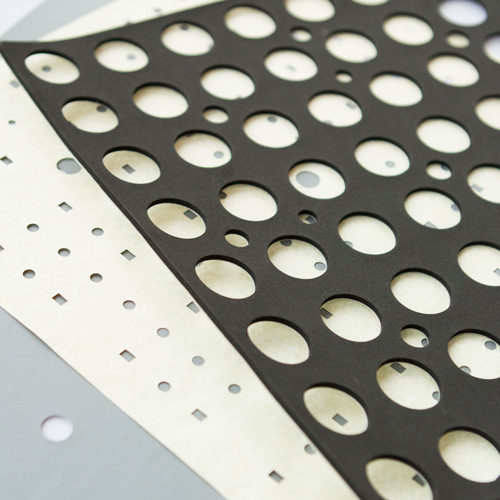 Marian will showcase a variety of die-cut solutions at Strategies in Light such as: outdoor lighting gaskets, thermal management interface pads, adhesion/structural attachments, IP65 Rated Sealing, venting, reflectors and high-end diffusers, cushioning, and vibration damping solutions. Marian sources material from the world’s top material suppliers like 3M, Polymer Science, Luminit, Porex, GrafTech, Nitto, Saint Gobain and Tesa. Marian offers a range of unique manufacturing capabilities, such as: rotary and flatbed die cutting, precision laser and waterjet cutting, sub-surface screen printing material slitting, complex precision laminating, reel-to-reel processing, and rapid prototypes (24 hours for stock materials). All Marian locations are ISO 9001:2008 certified. Visit Marian at booth #823 at the 2016 Strategies in Light Trade Show. Die cut materials by Marian for an Outdoor Architectural LED Area Light.Materials: Thermal Pad, 3M Flame Barrier FRB Series, Foam Gasket Marian LED BrochureLearn more about Marian's capabilities in the LED and lighting industry.